The TomTom 9A00.281 USB Car Charger for TomTom GPS Navigation Devices with this spare charger you can keep your TomTom fully charged while you drive. Simply plug the adapter into your car cigarette lighter socket to charge your TomTom in your car. 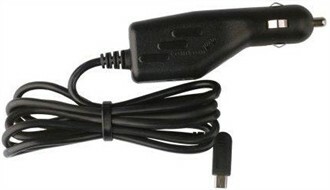 The power charger supports the 12-24V of your cigarette lighter socket. The TomTom USB Car Charger has many exciting features for users of all types. You can extend the lifetime of your TomTom USB Car Charger with the purchase of a FactoryOutletStore Factory Protection Plan. See the TomTom USB Car Charger gallery images above for more product views. The TomTom USB Car Charger is sold as a Brand New Unopened Item.